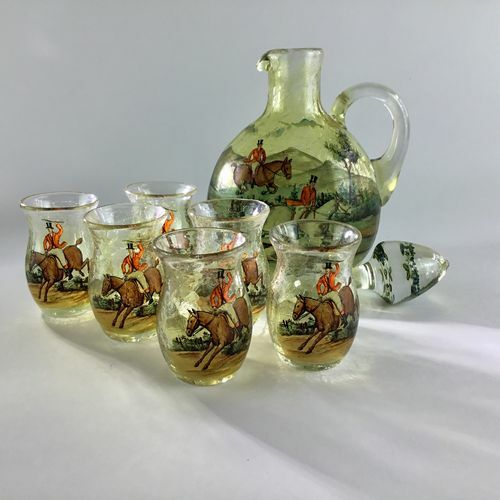 An early 20th Century Bohemian glass Tally Ho! 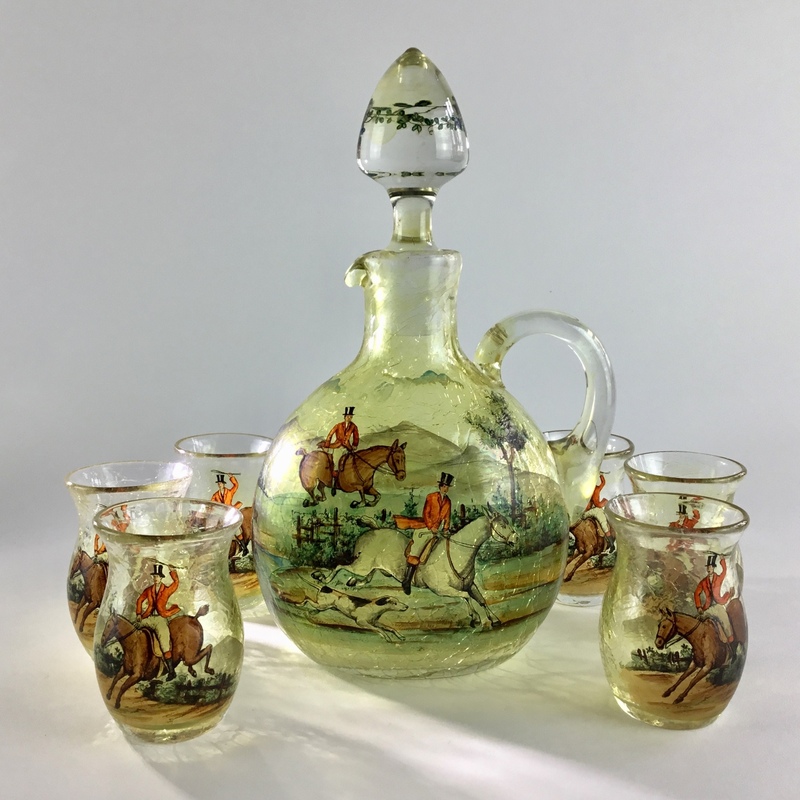 decanter flask with six tot glasses. 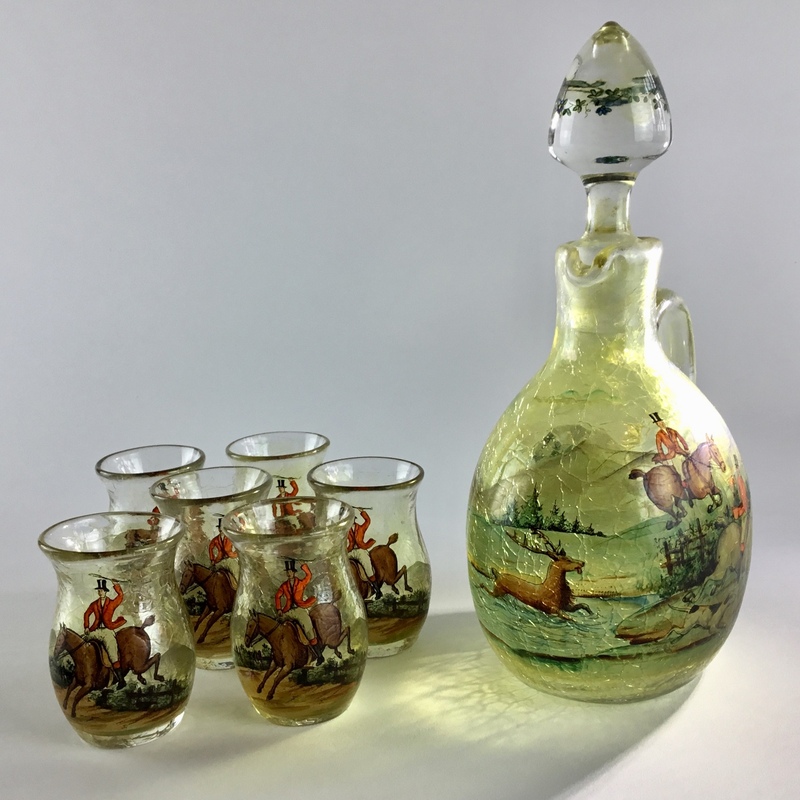 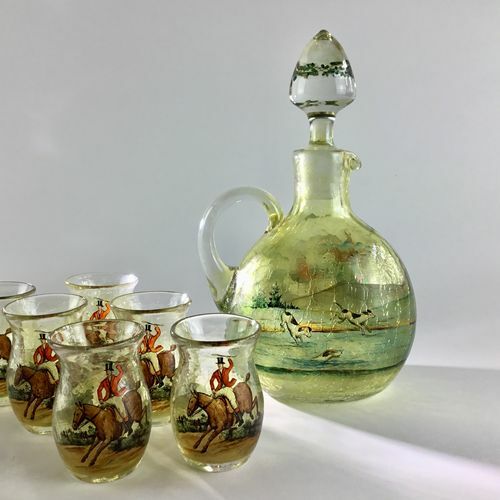 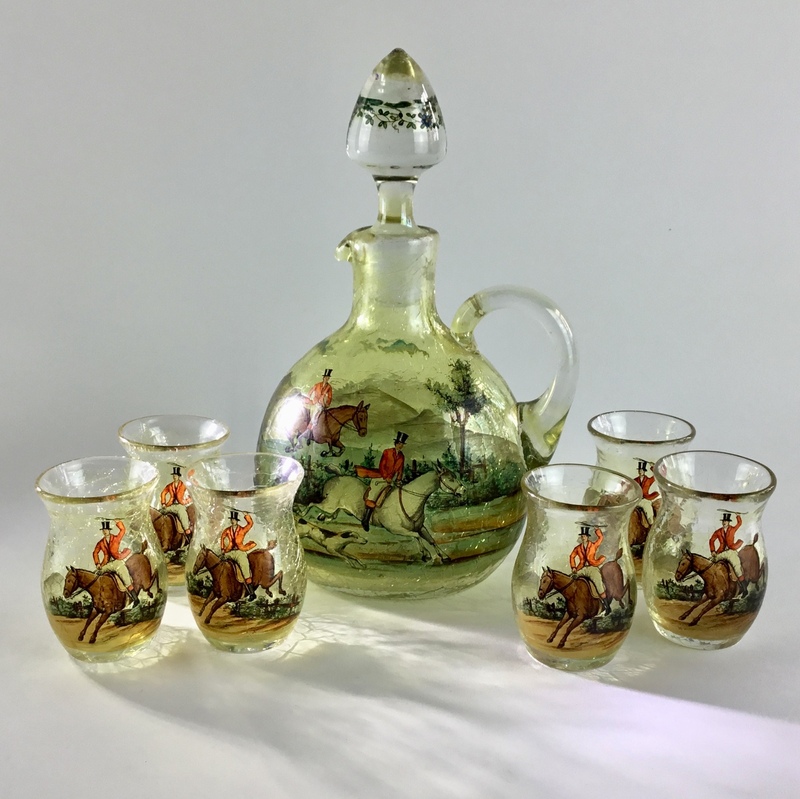 Made for the English market Circa 1910s, the enamelled scene is of pink jacketed huntsmen riding out with hounds and stag. In good condition for the age, there is a small worn chip on the rim of the decanter near the lip. The stopper is original and in excellent condition, as are all the glasses.